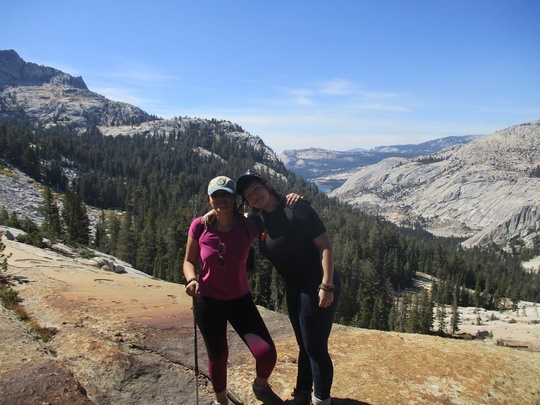 Year after year, Kingsburg students head to Yosemite to enjoy a week of adventure and relaxation with new and old friends. 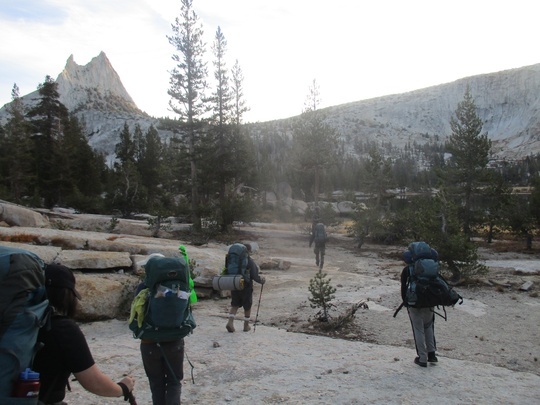 The 2018 group had the opportunity to trek to the beautiful and scenic Cathedral Lakes via the John Muir Trail. 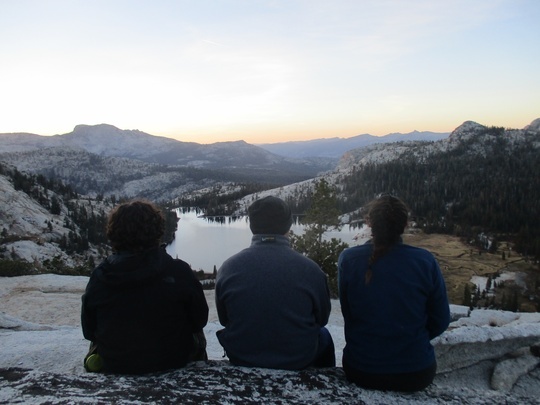 The students arrived in Yosemite on Sunday evening to settle in and enjoy the beautiful weather and scenery in Yosemite Valley. After a day of packing and prepping on Monday, the group headed out on trail on Tuesday to start their ~3.5 mile trek to the Cathedral Lakes. 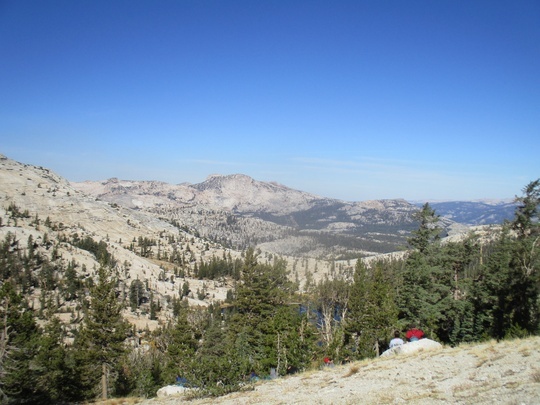 Along the way, they experienced incredible vistas of Yosemite’s high country; the granite domes and mountain peaks shone dramatically in the changing light of the afternoon as they approached their base camp. After setting up camp and enjoying some much needed mac n cheese, the group tucked into their sleeping bags and tents to get some sleep after their strenuous uphill hike. 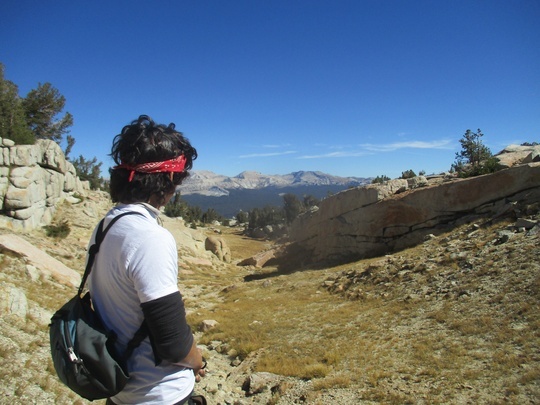 The following day, Kingsburg students and NatureBridge educators participated in backcountry stewardship projects led by Wilderness Ranger Wise. 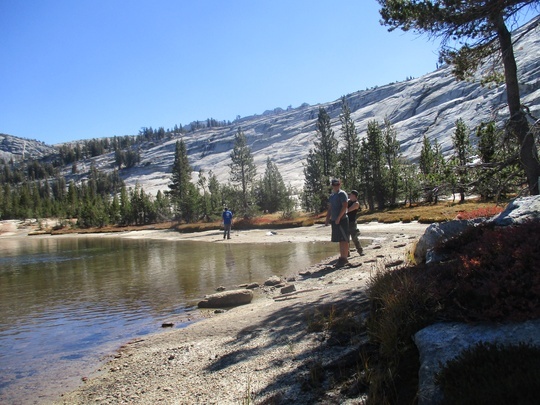 Ranger Wise facilitated litter pick up around the lake, and taught the group how to clean up and restore campfire rings that do not follow the Leave No Trace Principles that govern the Yosemite Wilderness. She also told the students a bit about what it’s like to be a Wilderness Ranger and how they can follow that career path if they so choose. Ranger Wise departed from camp in the afternoon, and students were able relax and spend quality time with each other for the rest of the evening. They were excited to be together in such a beautiful place, and for the opportunity to trade bright screens for bright stars. On Thursday, the group emerged from their tents energetically to prepare for their challenge hike. 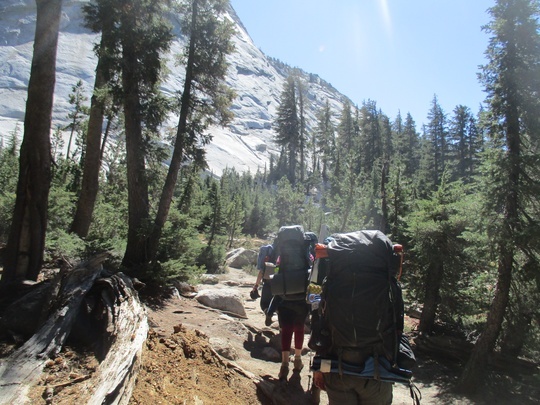 After fueling up with a hearty breakfast, the group packed their day packs and headed on a journey to Budd Lake. The trail was rugged, which required students to support each other through steep terrain, river crossings, and wading in the lake. Eventually, they worked as a team to reach their destination. 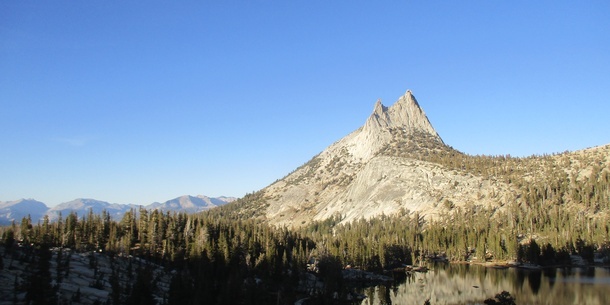 Budd Lake was surrounded by several dramatic rocky peaks, including Cathedral Peak, where they watched rock climbers scaling the steep cliff with harnesses and ropes. After a lunch seasoned with accomplishment and slight exhaustion, they started back downhill towards their base camp. Even with mattresses that were less than one inch thick atop a rocky ground, knowing and feeling the effects of their hard work helped the group sleep well that night. Friday morning, students awoke and packed their bags for the trek back towards civilization. Although they were excited to shower and share stories of their experiences, there was a tinge of sadness upon leaving such a glorious place. Many felt a strong connection to the Yosemite Wilderness, and undoubtedly some will return to the park one day with family, friends, and new perspectives. 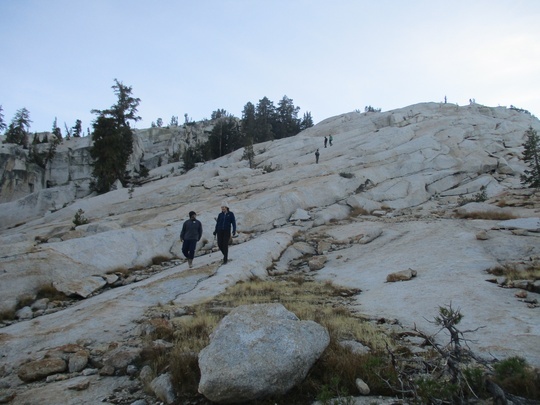 Students traverse rocky terrain and glimpse the dramatic silhouette of Cathedral Peak on their hike towards the Cathedral Lakes. It's easy to get caught up watching the sunsets, wildlife, and views here in Yosemite.